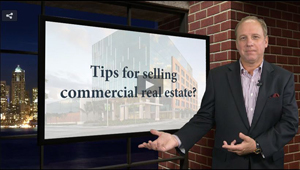 In CRE Investment Guide Part 1, I discussed Market Cycles and timing to sell, as well as the many methods and best practices of investing in commercial real estate. I also broke down the property types by sector, class and size for an overview. In Part 2, I delve in to the benefits of one property type not yet mentioned: single tenant net lease properties. In addition, I expand on alternative investments via crowdfunding and REIT shares. Many like the benefits of investing in single tenant net lease (STNL) property investing is considered safe due to long-term leases, national credit tenants and extremely low default rates. Typically it’s a highly visible retail store, on a triple-net based lease, where tenant pays all operating expenses, taxes and insurance. It has very few moving parts and thus low involvement for the investor. It can be quite affordable–as low as $700k with 10% down. That means more investors can own a property without partners. Be sure to work with a broker who understands STNL deals. While they are easy to get a handle on, the devil is in the details. STNL properties are the most liquid of any commercial real estate investments (besides REIT shares). Cap rates can be strong, ranging 5.0-7.0%, sometimes up to 8 depending on the tenant. Lenders like STNL properties. Borrow at 4% on a 7% cap rate and see some good returns on a risk adjusted basis. For as little as $5,000 you can invest in specific properties, like a large office project with a general partner handling everything. All crowdfunding sites are not the same. Some are just listing sites with little to no due diligence on the investment. Some have done more research on the investment and sponsor. Some have done their homework and are more of your general partner, you deal with the crowd funding company, not the sponsor. Look closely at the sponsors, the companies who are offering the deal. They control the management and tenants. Their talent and attention to the property will impact results. Check out the individual property, its market and submarket. The information on the web site alone can be misleading if you aren’t familiar with local markets. What are the trends for vacancy and rental rates for the submarket? Hire a broker ‘ala carte’ to provide the latest data for a specific deal. Understand the investment’sexit strategy. You're committed to the investment until the sponsor decides to sell. A plan is great, but understand your funds are not liquid. 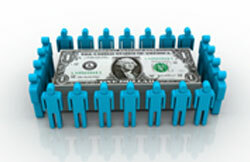 If you are a sponsor, you may want to tap into crowd funding to finance your projects. Talk to the various Crowdfunders to understand how they work. 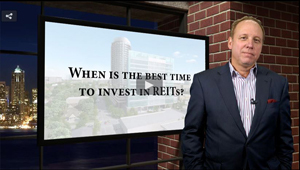 Publically traded REITs are an extremely liquid way of investing in commercial real estate, share by share. Another benefit (or detriment depending on your view) is they fluctuate with the overall stock market. Interestingly when the stock market dips, the underlying real estate may not have changed in value. Get in when the stock market dips for the best values. Know your management style – are you hands-on or a delegator? 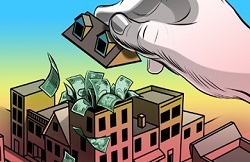 Such a comprehensive post – Real Estate investment is the smartest thing you can do with your money. Anyone looking for a great firm in New York City, check out M Development!